Here are a few more layouts from my weekend of scrapping. The best part is on Thursday I leave with my sister, Lynette, to meet up with my other sister, Sue, and her daughter to scrapbook at our annual retreat at Maplelag. 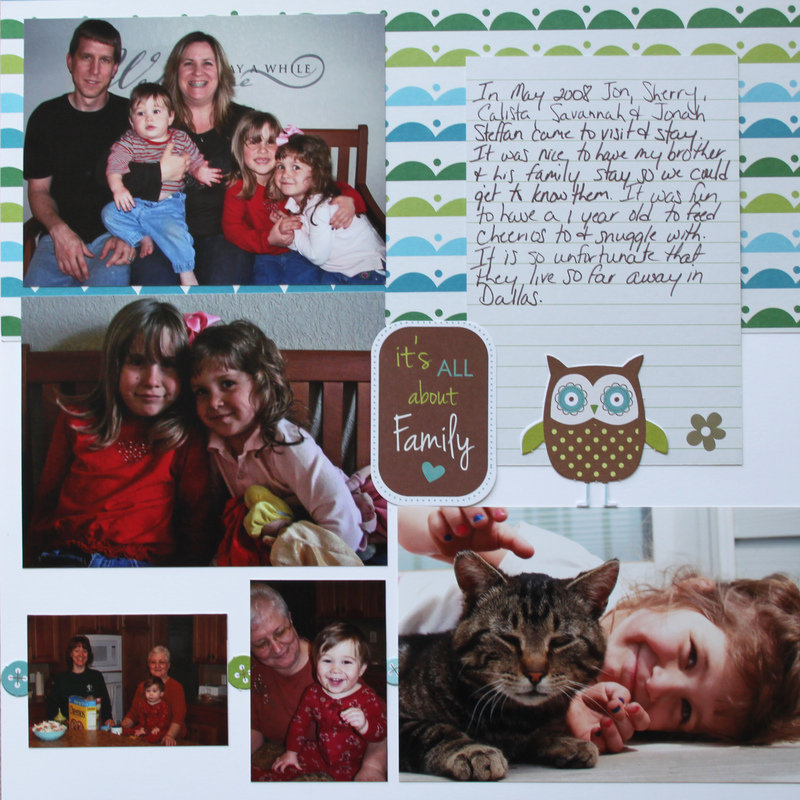 Because of this past scrapbooking retreat, I am all ready to go and have a lot of ideas to complete. This is an 8×8 of Big M and JV back in 2008. I do not remember what they were laughing about, but I love this photo. I wish there was more laughing in our house. Some days I have so much to do, I forget to laugh, but I am working on that. We have lived in Idaho and now in North Dakota. Both states are proud of their connection with Sacajawe or as it is said in North Dakota, “Sakakawea”. There is a statue of this brave lady on the Capitol grounds by the Heritage Center. I had a photo of the boys standing by her, so I decided to do a layout about her name. If you are ever passing through Bismarck, make sure you plan a trip to the Heritage Center. It is free, newly expanded, and filled with great historical information and exhibits. Since my brother, Jon, lives in Dallas, Texas, I do not get to see him often, so he and his family do not show up in my scrapbooks often. I found these photos from 2008, so I did a quick layout. 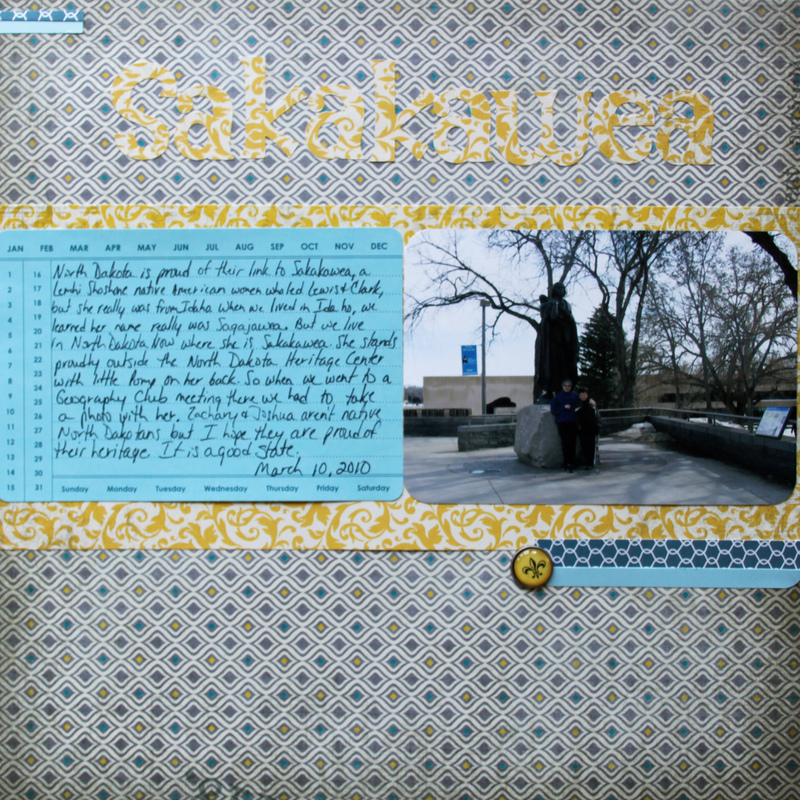 Back in December I did a post on a scrapbooking retreat my sister, Lynette, and I went on at the Badlands Ministries. The photos are so beautiful of the hill, I had to get them scrapped. I also made a few cards. Sometimes when I am stuck or have leftover scraps. Making cards helps me get my creativity flowing again. 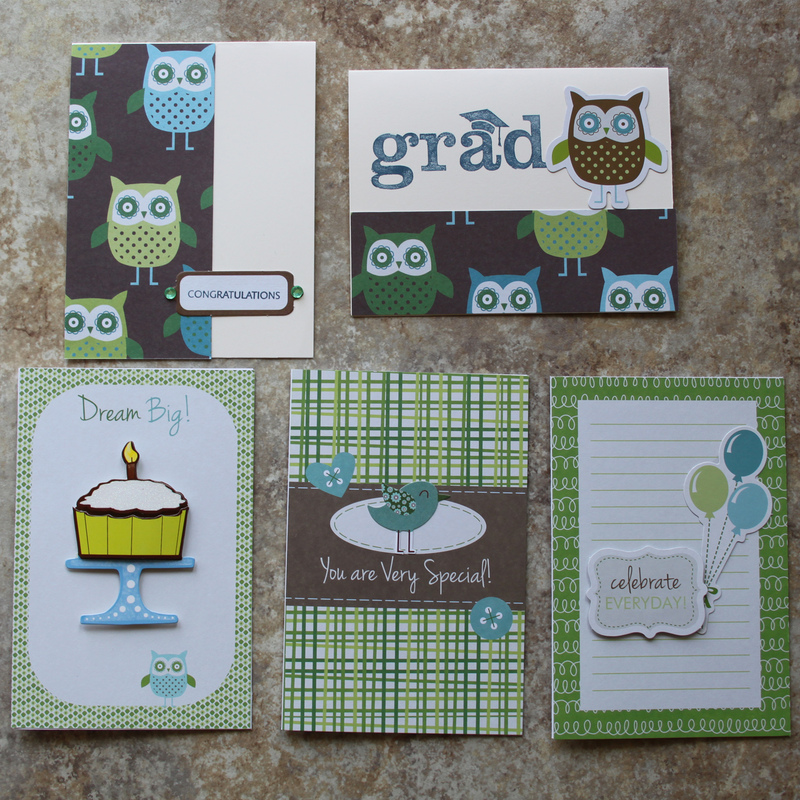 I think I will use most of these as graduation cards next spring. So there you have it. A fun and productive weekend retreat. I will try to post some layouts from this upcoming weekend. 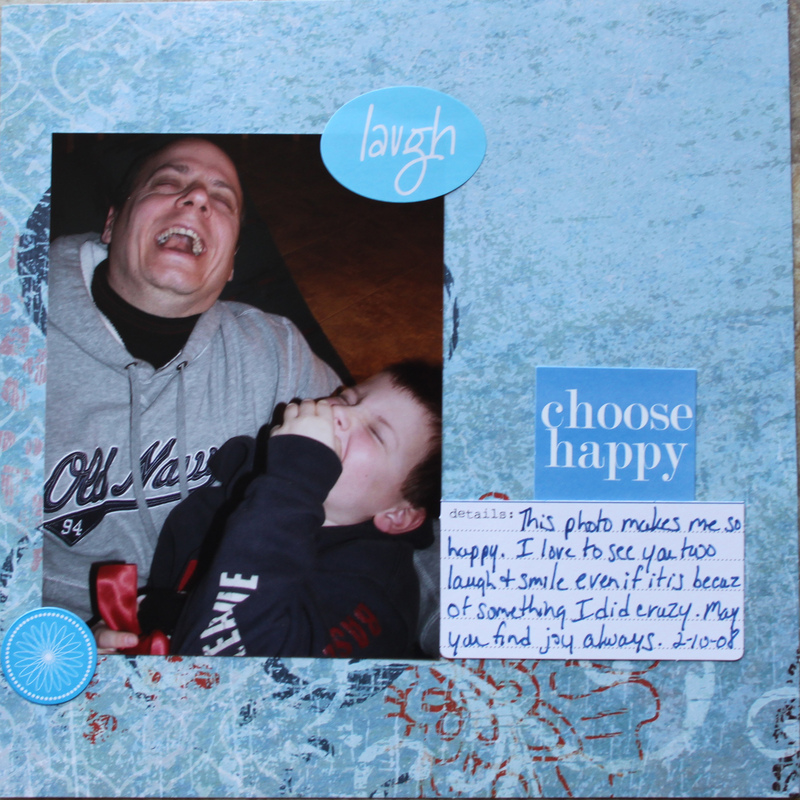 Have you done any scrapbooking lately? 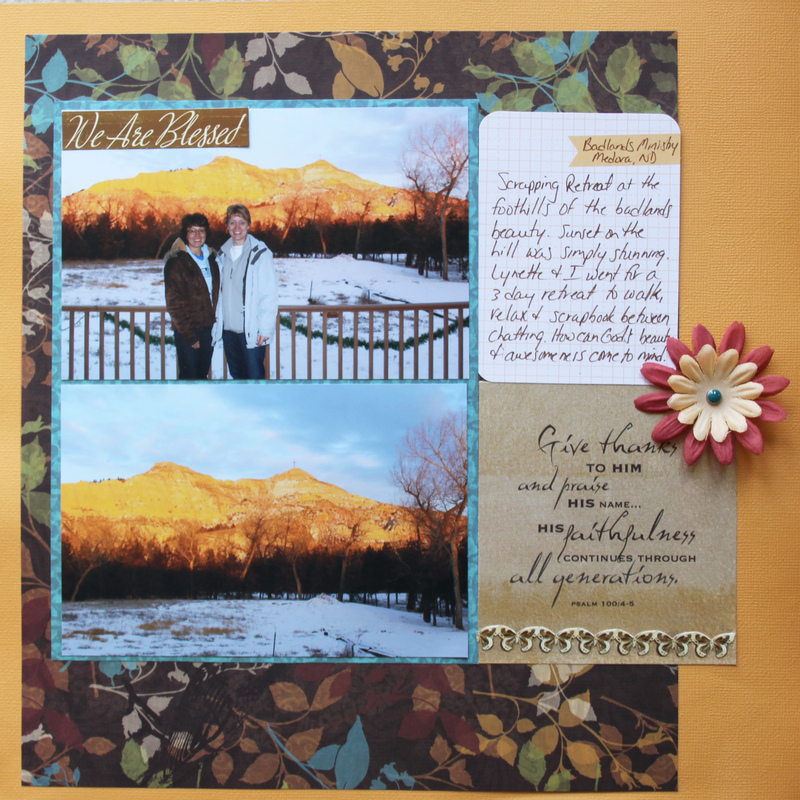 This entry was posted in My Layouts, Scrapbooking and tagged Eagle Ridge Lodge by Karen Grosz. Bookmark the permalink.